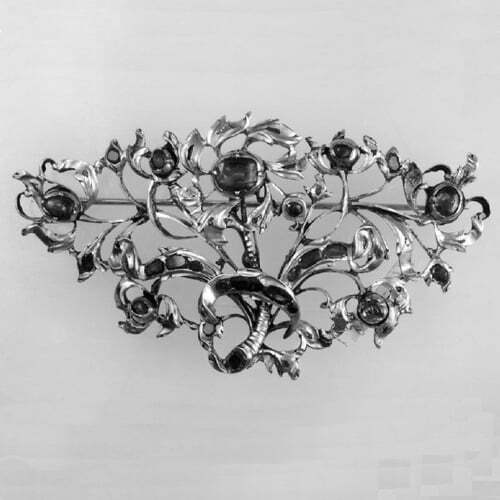 The Baroque period, spanning from around 1600 to 1700, saw an increasing amount of South American silver being brought to Europe. The English, French, and Dutch all establish bases in the New World. The Netherlands, now independent from Spain, is a major player on the world’s stage, and the artists from the Low Countries dominate not just the Art World but also the Atlantic through their superior navy. Many battles with the Spanish and English navies were fought, often over rich loads of silver on board of ships returning from the New World. 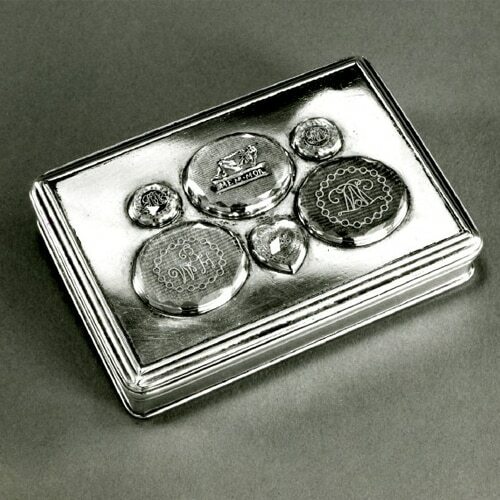 Although silver working techniques remained the same as in the preceding centuries a few things did change. 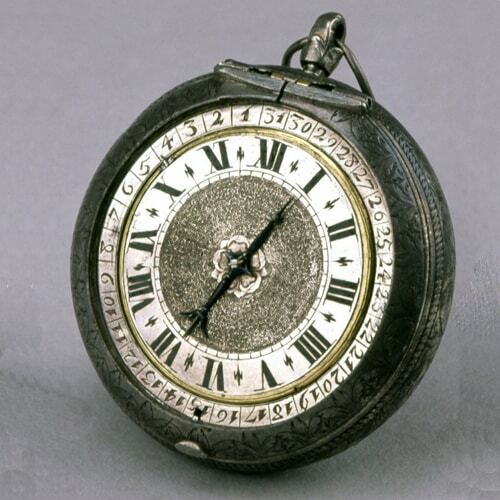 Timepieces were a complete novelty and were often executed in silver. 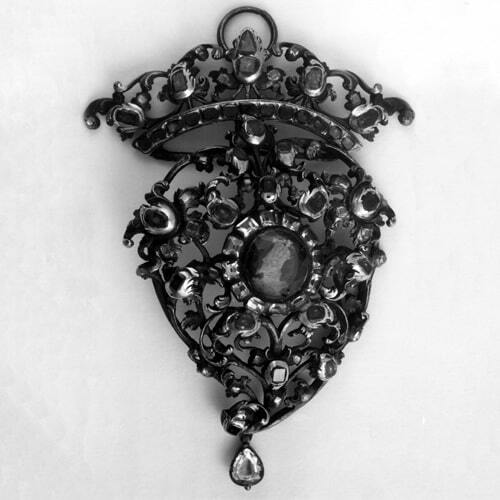 Another novelty was the use of silver to set diamonds. The white metal complimented the absence of color of these stones which were now trickling into Europe through intensified trade with India after European sailors started settlements on the Indian peninsula. 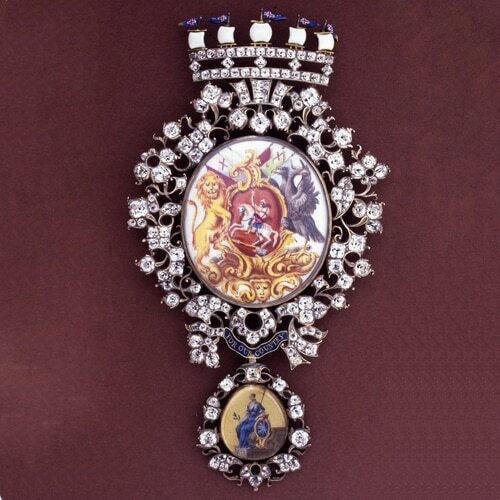 This enabled them to conduct direct trade with Indian diamond dealers in contrast to earlier times when Arabic merchants acted as middlemen and few good diamonds reached Europe. 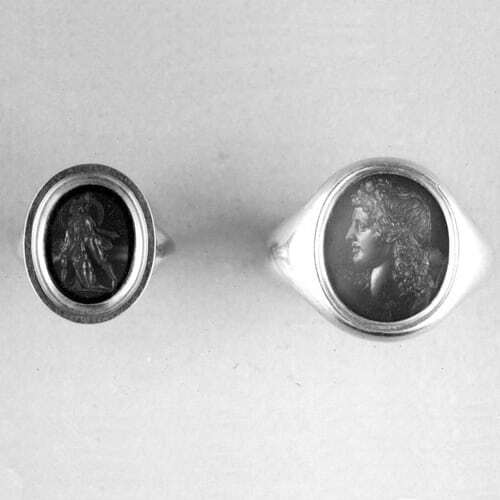 17th Century Memento Mori Silver Finger-Ring. 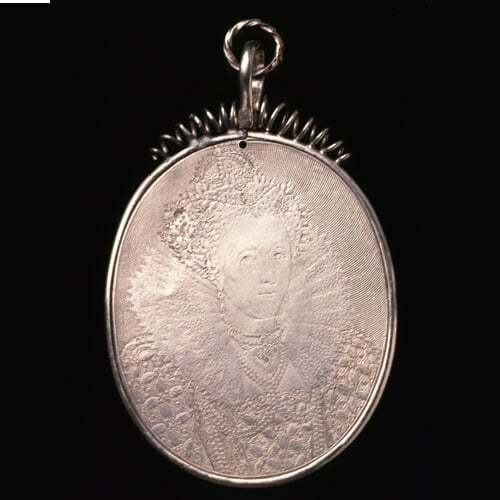 Oval Silver Medallion with a Bust Portrait of Queen Elizabeth of England.1616-1624. 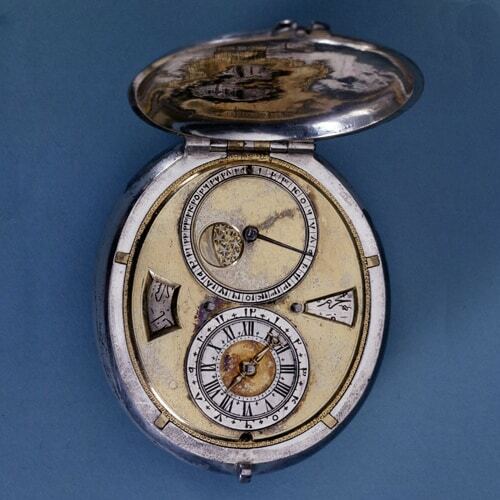 Oval Silver Cased Verge Watch with Date Indicator. 1670-1680. 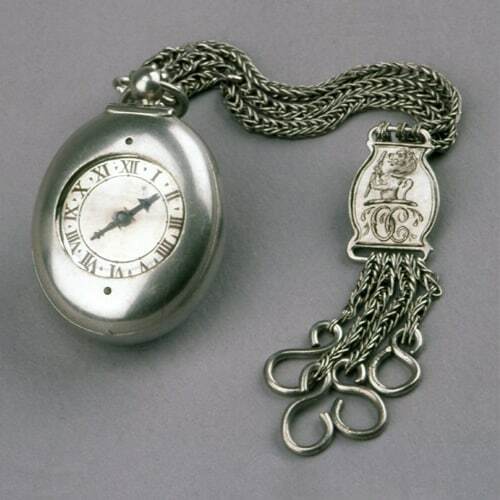 Oval Silver Cased Verge Watch with Fob Chain. 1610-1620. Silver and Leather Pair Cased Verge Watch with Date Indicator. 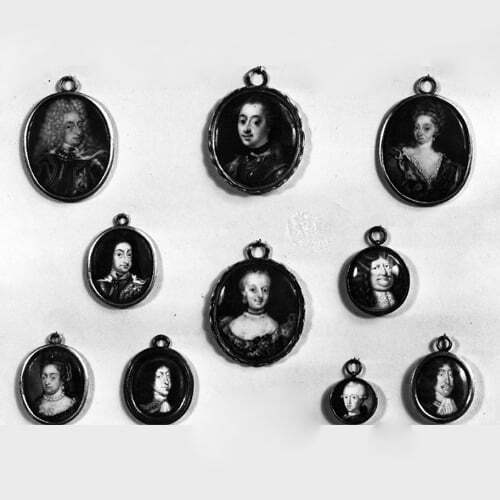 1665-1675.